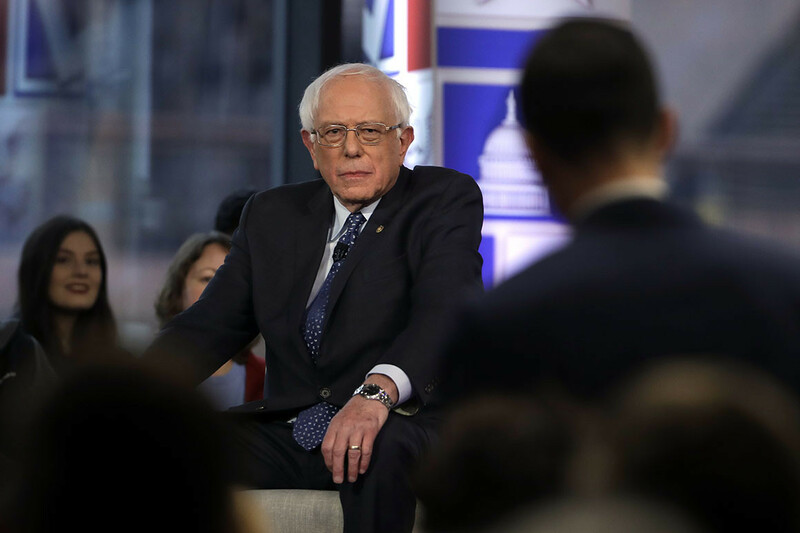 BETHLEHEM, Pa — Bernie Sanders entered the Fox’s den on Monday night — and he not only survived the hour-long encounter, but often dominated. Appearing at a Fox-hosted town hall smack dab in the middle of Trump Country, the Democratic presidential front-runner played the part, swatting down tough questions from the hosts about health care, defense spending, and his newfound wealth. At one point, the Vermont senator even led the network’s audience in a call-and-response that found them cheering loudly for his policies. One of the most surprising moments of the town hall occurred when Baier asked the members of the audience to raise their hands if they received health insurance through their employer. Most indicated they did. Then he asked how many would be willing to switch to Sanders’ plan, and most people appeared to raise their hands again. Sanders was also quizzed at length about his wealth. A half-hour before the town hall, Sanders released 10 years’ of his tax returns, which showed that he first earned more than $1 million in annual income during the 2016 presidential campaign, in part thanks to proceeds from his books. Throughout the exchange, Sanders was also largely able to stick to his message about his income, charitable giving and personal taxes, saying that companies such as Amazon were paying nothing in federal taxes and that wealthy people should contribute more in order to alleviate poverty.